People in large numbers join the “Durga Mata Daud” (run) expressing solidarity with each other and wishing a strong and better future for the younger generation. 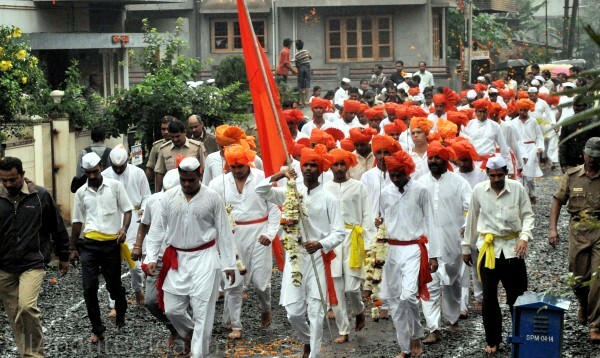 The run is organized annually by the Shri Shiv Prathisthan Hindusthan. The run is being organized for the past 20 years, in the initial couple of years the response was quite meager and now about 30,000 people participate as the run culminates on Dasara day. The run is part of the Navaratri celebrations in which people from all walks of life, including children and the aged, participate with the single objective of expressing solidarity with and inspiring the youth to lead a healthy life free from intoxication and other evils of society. The run is also aimed at inculcating patriotic and brotherhood feelings and motivating the youth to work for building a strong nation, both economically and culturally. 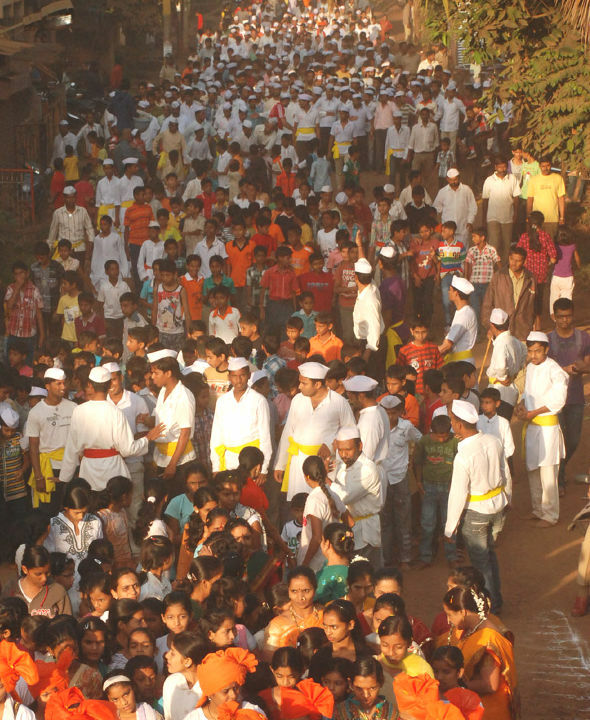 Children garbed in the colorful costumes of Shivaji and his mother, Jijabai, and soldiers lead the run in a chariot.